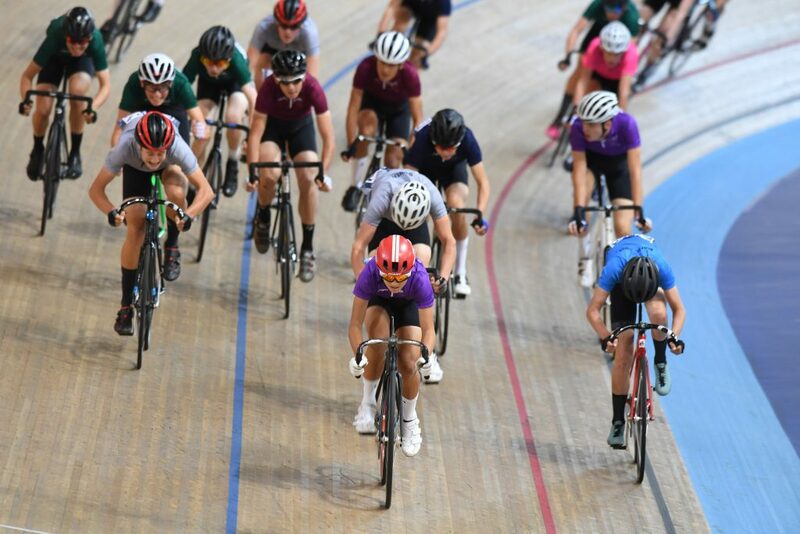 PPYCC are very proud that two of our riders were chosen to represent the South East Region at the 2018 annual National School Games, held in Loughbourgh, where youth athletes from 12 regional teams compete across 11 sports in one of the country’s biggest multi-sports events for young athletes. 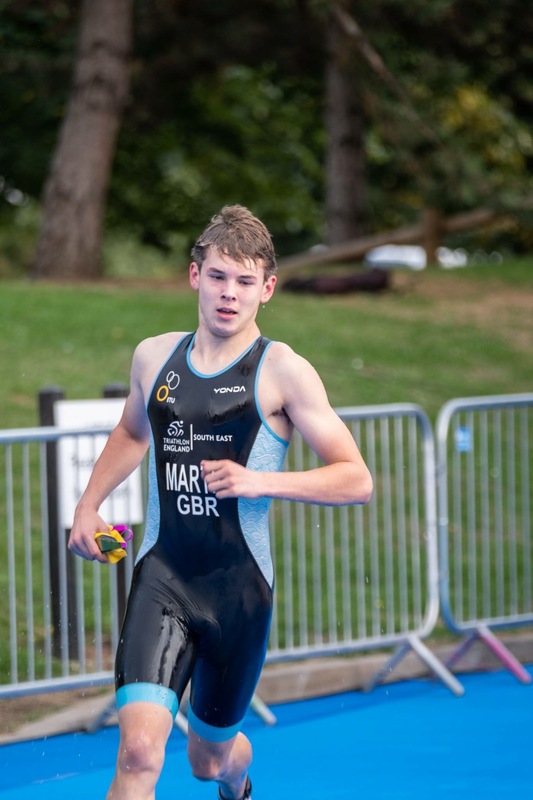 Lukas Nerurkar represented the South East in road and track cycling, whilst Joseph Martin represented the South East in triathlon. Joseph in action straight from his swim and into the run of the triathlon. 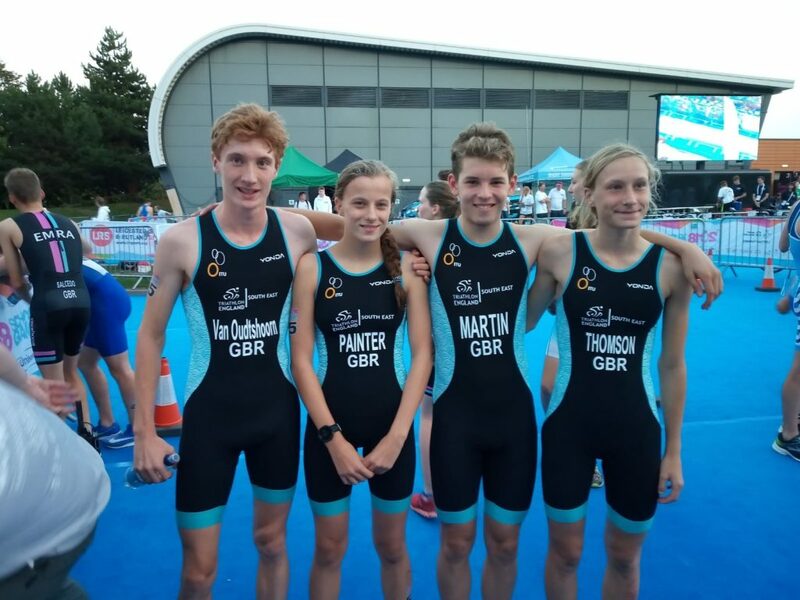 Joseph’s team won silver medal for the South East in the triathlon event, a brilliant result! 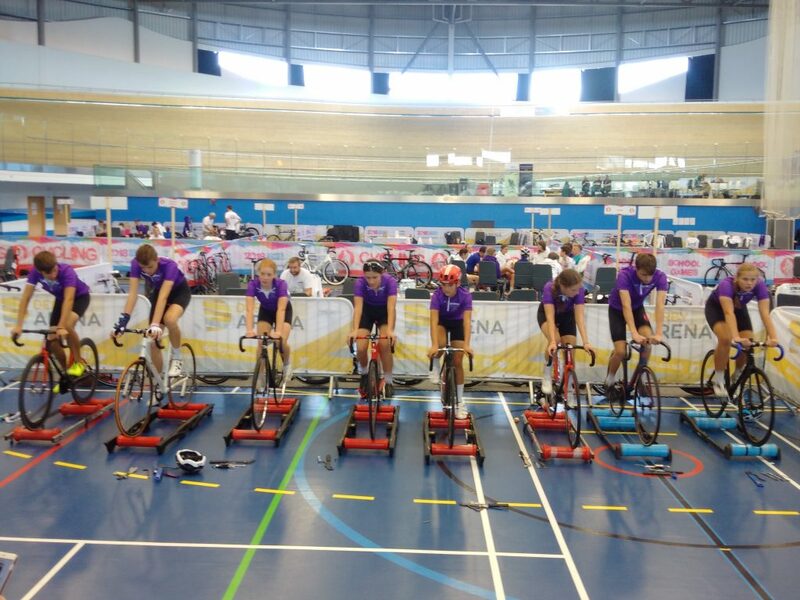 Joseph with his team, who had an amazing relay event! 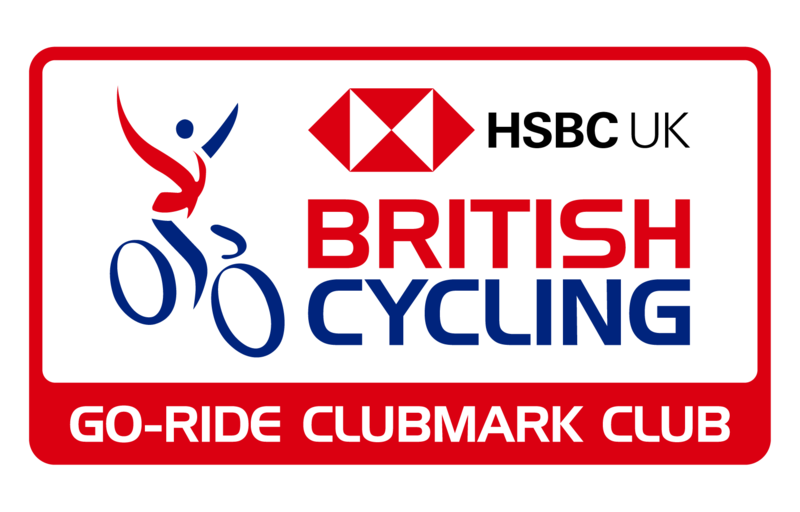 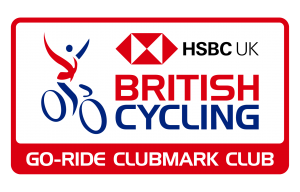 Four male and four female cyclists represented each region, with the top three individual performances in each discipline scoring towards the team’s aggregate score. Overall winners were the Eastern Region led by Oscar Nilsson-Julien and Oliver Stockwell. The South East Region finished 7th overall, with Lukas placing highest for the region in both the circuit race and street sprints events. 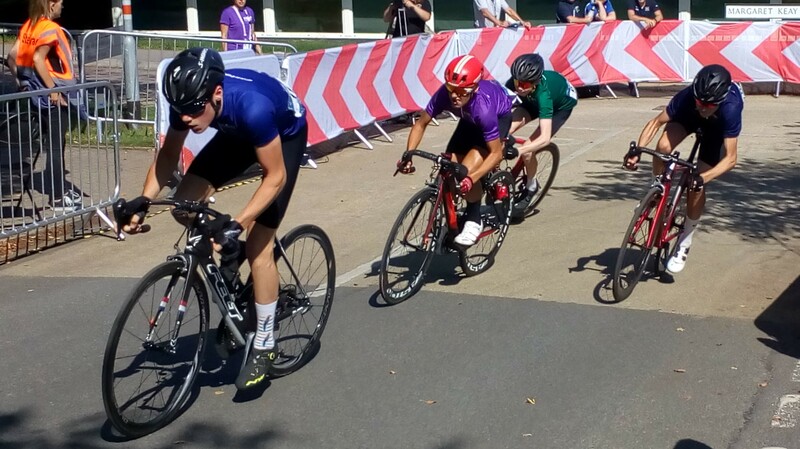 Lukas is the second PPYCC cyclist to participate in the UK School Games, following the participation of Luca Stone in last year’s event.